Today I would like to present you the pick and place machines for the placement of electronic components, their use and how they are working. These machines are used in the electronics’ sector to mount and place the electronic components onto the printed circuit board (PCB). What does surface mount devices mean? The electronics’ sector evolution and the technologic advances have led to new PCB production processes. 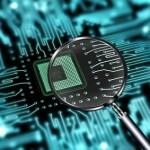 Therefore, it was understandably that the electronics’ industry has turned to the SMT technology. This technology differs from the traditional process of PCB production; indeed, the electronic components do not have connexion pins and are directly soldered onto the PCB (thanks to the brazing method). This type of components is faster to mount, cheaper and therefore helps reducing the PCB total cost. They also enable the reduction of the volume of the components as well as the reduction of the PCB surface. Their use in the industrial field is nowadays almost systematic. As mentioned above, the pick and place machines automatically assemble the components onto the PCB. Once the PCB is produced, it will be found in our laptops, household appliances as well as in the medical, automotive, military or telecommunications equipments’ industries. These machines can be manual, semi-automatic or automatic. Today, the semi-automatic and automatic machines are the most commonly used in the electronics’ industry. 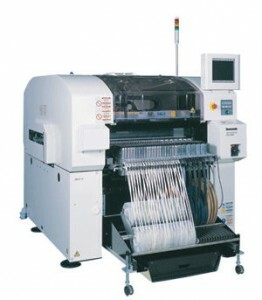 The pick and place machines represent a key element of the PCB production line. They are using a method that as its name refers will enable them to “pick” the components from the feeder to then move to a precise location and place them in the correct site onto the PCB. This is how the placement of surface mount devices onto the PCB works: once the PCB is immobilized on the machine table, the research of the components starts. The machine table moves according to X or Y (sometimes even X and Y) so as the head holding the component goes in the right place. At this moment, there are two options: whether the feeder that has the components moves in front of the head in order to place them, whether it is the head that searches for components in the right feeder. Just for information, these machines can place from 4000 up to 10000 components per hour. 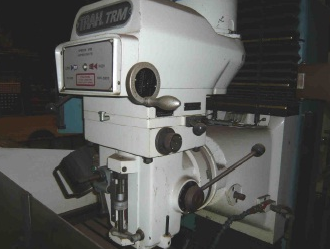 Do not hesitate to consult our online catalogue as well as publishing your pick and place machines on our website exapro.com. Older PostWhat are the consequences of the automation of the industry?